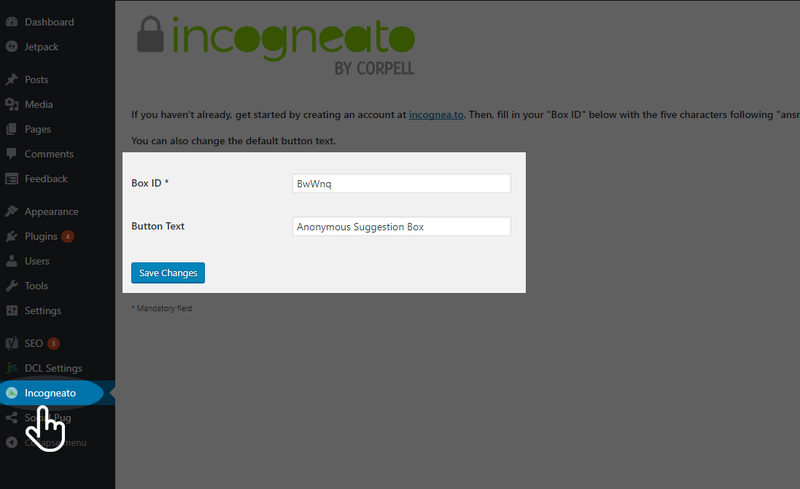 Go to the new "Incogneato" link in your dashboard and enter your Box ID and, if desired, change your button text. Click "Save" and your box should be live. If you have any questions, email us or chat below.